Doing these simple tips for creating an alkaline balance will solve many of your nutritional worries. What you eat and how you live affects your acid-alkaline balance. 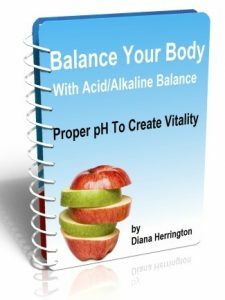 “In my quest for health, the most important thing I learned, in 1996, was the principle of creating a pH balance in my own body. This helped me regain my health more than any other food regime in my entire 39 years of looking for answers.” ~ Diana Herrington. This is the one thing you can do that can make all the difference by helping balance out the body. Keep vegetables cut up in the fridge and have a big bowl of colorful fruit on your counter to snack on. Eat salad with your lunch and dinner; keep a salad made up in advance with all of the greens in it minus salad dressing, cucumbers and tomatoes, which you can add later. 2. Eat 80 percent alkaline foods, 20 percent acid foods by volume daily. Saliva is alkaline and you can produce two gallons a day! Water alone can make all of the difference as many people are dehydrated keeping in all of the toxins which are acidic. Normal water is basically balanced so if your body is every acid it is a slow process to neutralize it. For example, it takes over 30 glasses of water to balance out one glass of coke which is very acid. This is why many people use alkaline water which can directly alkalize the body faster and more efficiently. Bodies function better with more oxygen. This will also help move the acids out of your body. Learn to breathe deeply into your abdomen. The best place to do this is in a yoga class. So that you can concentrate on your breathing with no distractions, lay down on your bed and breathe into your abdomen deeply and gently. Practice doing this every day till you are doing it naturally all day every day. It is filled with artificial sweeteners, preservatives, artificial chemical substances and food coloring, which are all highly acid-forming. Additionally, your body must work very hard in an effort to cleanse these toxins out. Listen to the birds or relaxing music, meditate, walk in nature…do whatever it is that creates relaxation in you. Go for walks, open your curtains and go to bed early enough to get up when the sun does. Insufficient sleep causes the body and mind to be overworked and unhappy. 10. Just because a food is acid-forming does not mean that it is bad! It is not at all about excluding an entire family of foods or any foods – it is all about creating balance. Note: Besides knowing about alkaline balance I also teach you how to cook and combine meals in my Alkalize Your Body Web BootCamp. We created these BootCamps and the 2-5-30 Healthy Diet so people would have skills and confidence to apply knowledge rather than just think about it or try and give up. Do limes have the same alkalizing effect as lemons? Limes are alkalizing but do not do as deep a job as lemons do. 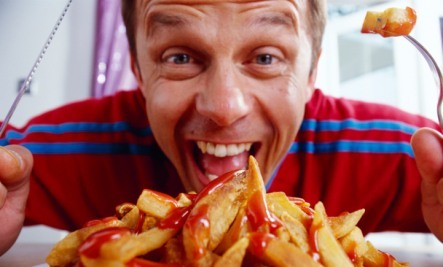 Most of all the foods recommended for a healthy body are those I am unable to eat for a number of reasons. I had been eating all ‘good’ food for a number of years and found out that most of it was what was causing my poor health. difficult and restrictive diet and contains very little of the greens/grains/coco/etc Avoidance of Vitamin C is also necessary due to the type of Kidney stones produced. will help with LOD diets. 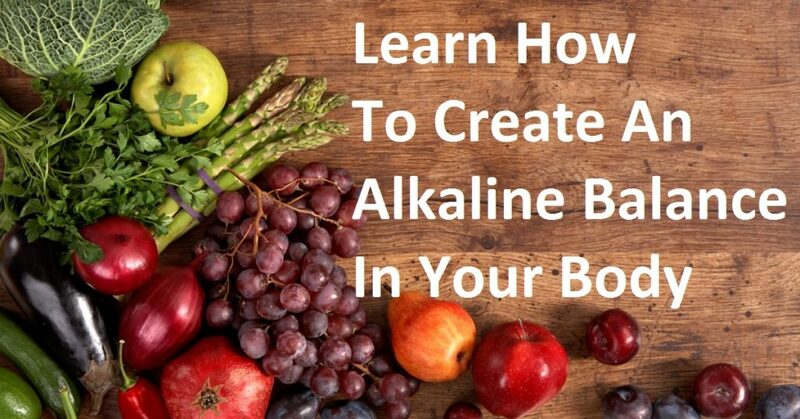 I am interested in your alkaline diet. I’ve been diagnosed with stage 4 melanoma and have already changed my diet but am finding I am exhausted as I’m eating a plant based diet for alkaline purposes. Because Melanoma is a very aggressive cancer I wondered if I should take 5 days off and do your diet for 2. I would feel better following your diet for more yhan 2 days a week – naturally I will eat healthily the other days but I am running out of ideas about what to eat – it’s tough!